After jumping in premarket trading, Newell Brands stock is lower after it announces several plans following Carl Icahn's investment. On Friday, Carl Icahn's 6.86% stake in Newell Brands Inc. (NWL - Get Report) was revealed. In premarket trading Monday, Newell stock was up almost 5% after announcing a cooperation agreement with Icahn, as the pair named four new members to its board of directors. Despite that premarket jump, though, shares were quick to reverse those gains, falling throughout Monday's session and ending lower by 6.54% at $26.79. This stock has become rather controversial since the company put together a string of disappointing quarters, leading to a 44% drop over the past 12 months, TheStreet's Jim Cramer said on CNBC's "Mad Dash" segment. Cramer also pointed out that the company's been in a proxy battle with activist investor Starboard Value. Starboard, which owns about 4% of the company, had been looking to replace all nine of the board of directors as well as CEO Michael Polk. 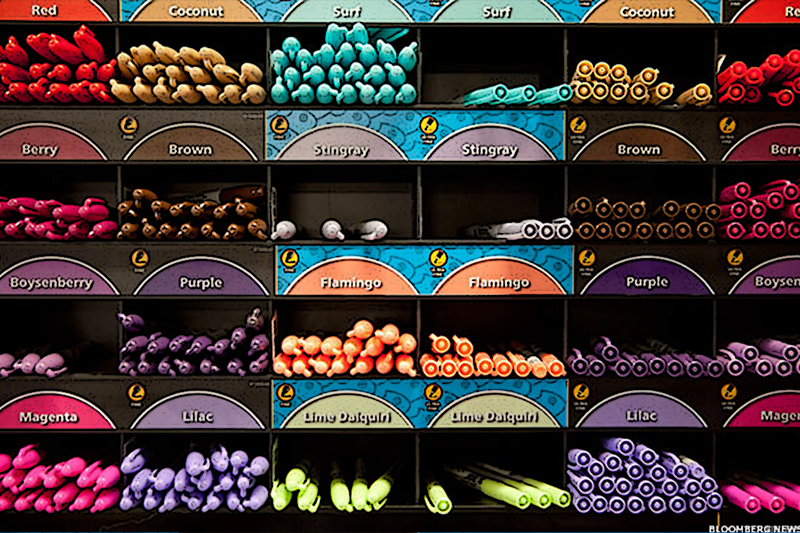 Newell Brands makes a number of different products, from car seats to Sharpies. While Newell has been suffering, not all of its woes are due to its lack of execution. "The company's earnings are being impaired by some real issues," Cramer said, "like the problems at Office Depot and the problems at Toys 'R' Us." There is a notable shakeup of the board, while Icahn and Newell are working together to sell off a number of underperforming brands, said Cramer, who also manages the Action Alerts PLUS charitable trust portfolio. Aside from asset sales, the two parties are looking to reduce Newell's leverage, improve cash flow and return more capital to investors. However, there is not wholesale change taking place at Newell, he reasoned. At least not yet.